Warteg is traditional eatery we may found alot in town. As usual, warteg only serving various of Indonesian home foods with traditional style. This time i'd like to mention the warteg with modern style called The Fame. It is located at Sabang street, Central Jakarta. We know this area has been crowded with many eateries also office and department store. Actually The Fame is same located with Martabak Boss, one of hits martabak spot in town. From the street we may see a huge bright with lights signage which is really clear about this restaurant. similar with traditional warteg, i saw a various cuisines ready when we came in the restaurant. But in here we also available to order ala carte from the menu. 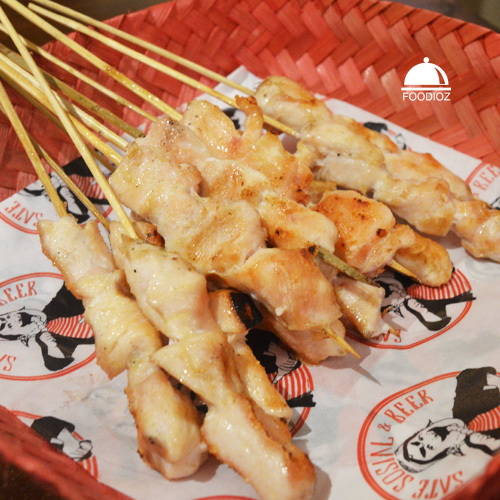 They also serve various of satay with many kind of sauces we may choose. At first, i found out some waiters are not capable enough to explain about the menu like example how many skewer on one plate also how many piece the squid in a portion. At least took about 15 minutes for us to order our food. First dish come out is the Chicken Satay with Thai Sweet Chili Sauce. Another mistake is i was order Chicken Satay with Mango Sauce which is out of stock, then i change it to Padang Sauce. In fact, what came out is not what i expected. But good thing is this thai sauce is not bad at all. satay is using breast part of chicken, i like it though even it is taste like grill chicken breast than a grilled skewers. Don't forget to dip it in the sauce to get spicy sweet taste since the satay is plain. Next dish is Salted Squid. 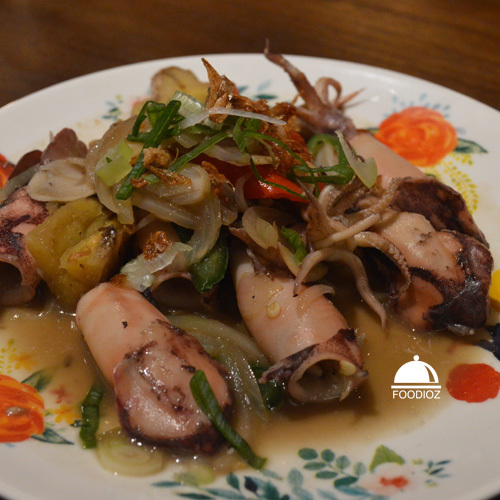 It is sauteed squids with shellots, chili and onions. It is really salty, so make sure you order white rice to eat along with it. But the the squid have too tight texture, not tender enough. 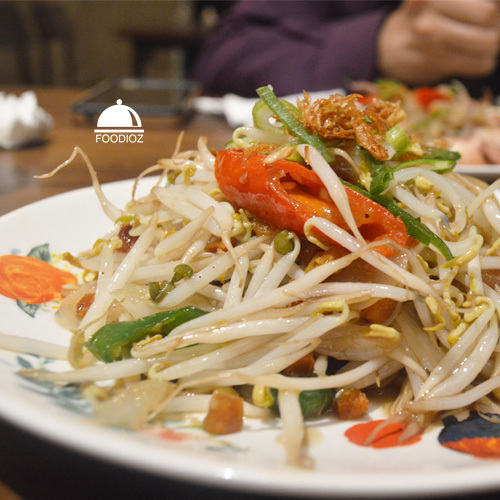 Last dish i order is sauteed bean sprouts with salted fish. First came out, it is smells really good. 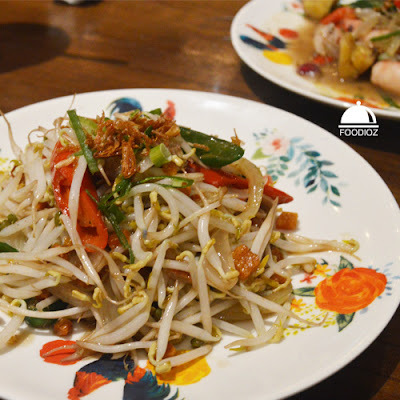 Beautiful bean sprouts with bright color and fresh perfect with golden brown of salted fish. It is taste good, really match with the rice and i am sure recommended for this one.